Spread honey mustard on entire tortilla. Spread Alouette Crème de Brie on &frac34; of tortilla. 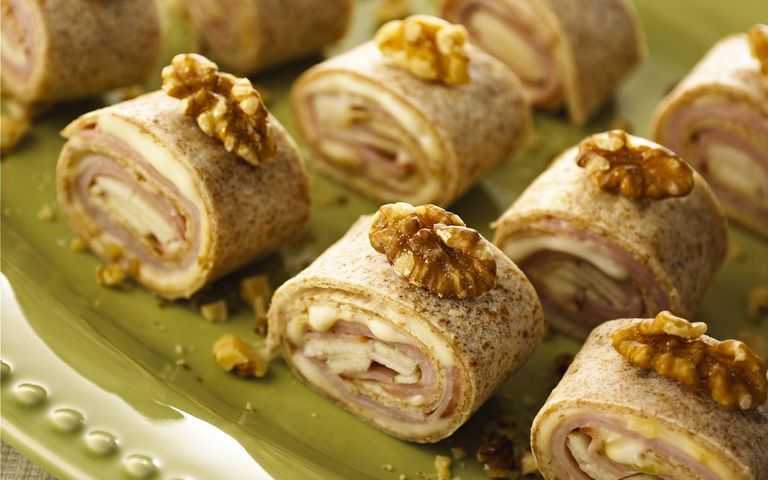 Layer with ham slices and top with apples and nuts on same &frac34; section of tortilla. Roll jelly-roll fashion and slice into 1 inch pinwheels.